It’s that time of the day, time of the month, time of the year, time of the time, where our supporters, friends, lovers, and family all get together to celebrate the anniversary of Royal Origin. Again we are having our meet in Sin City in collaboration with LV Racing Scene and Wa Da Pho food truck, where what happens in Vegas is on Facebook, Instagram, Tumblr, and Twitter. We got permission from Clarion Hotel Las Vegas to use their parking lot, so we won’t get kicked out by the cops. 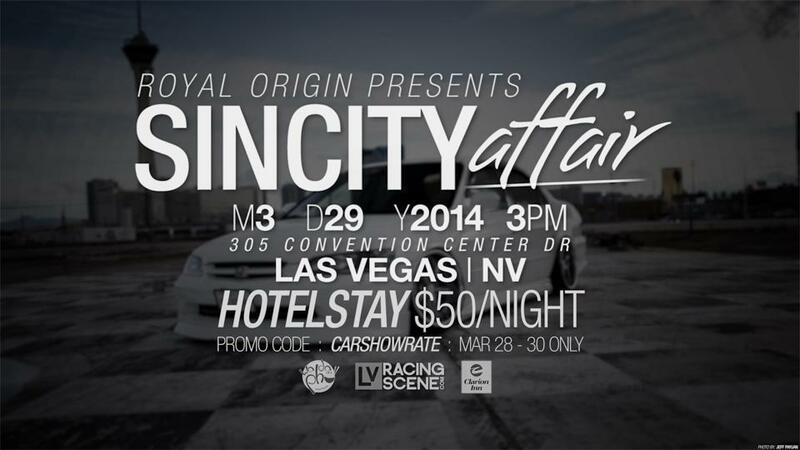 It fills about 300+ cars, so please join us in our Sin City Affair. Time: 3:00PM – whenever we feel like it should end.